Labor strikes can disrupt business operations and harm reputations. In worst-case scenarios, facilities can be damaged and employees injured. With United’s effective strike contingency planning we can help companies save millions of dollars in avoided production and delivery delays, decrease risk to company assets and personnel, and prevent lawsuits or National Labor Relations Board (NLRB) violations. 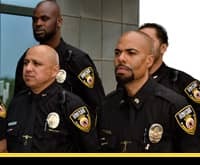 From implementation onward, you are assured high-level security services and attention to the specific needs of your environment, with full-service security solutions that are focused on protecting your people, property, and other assets.